We are very proud of our power amplifier portfolio. For many years they have been well received in the industry. The focus is on puristic design, suberb technology with hand selected components “made in Germany”. Our power amplifiers in Mono technology offer a power spectrum starting with 12.5W triode class A up to 200W tetrode class AB2. It is possible to customise and change the operating mode at any time. Our power amplifiers are equiped with 807 radio tubes in the output stage and Noval double triodes (ECC801S and ECC82) in the input and driver stage. 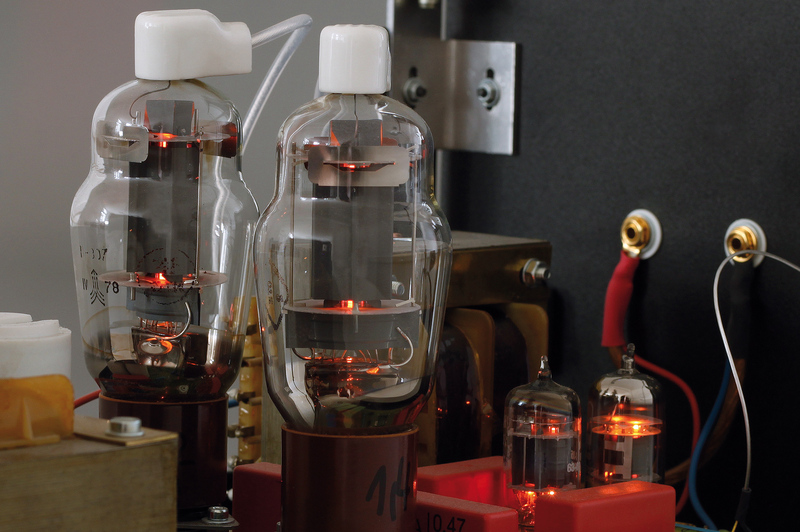 We only use foil condensators, to achieve longterm stability and highest possible sound quality. 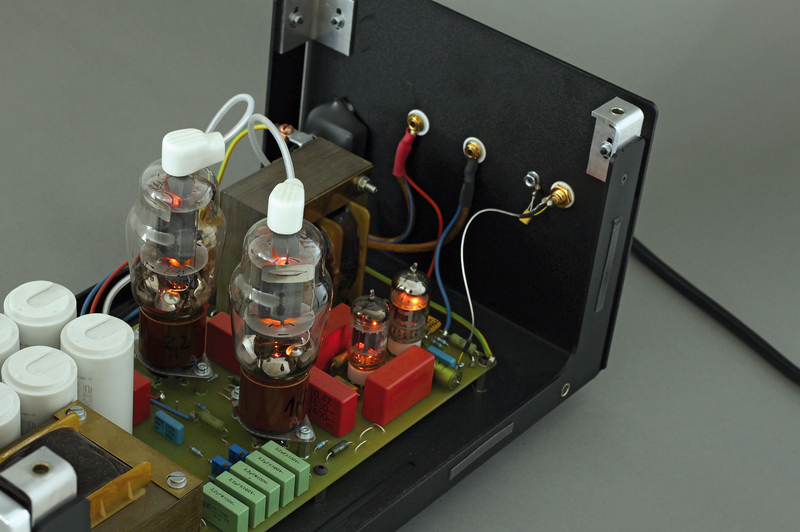 To some degree different to other tube fired power amplifiers concepts. Instead of slightly and typical “warm”, soft and on the edges less controlled sound with a great picture of the stage, we find our “807 sound” almost non-existant: Our amplifiers are simply reproducing music. 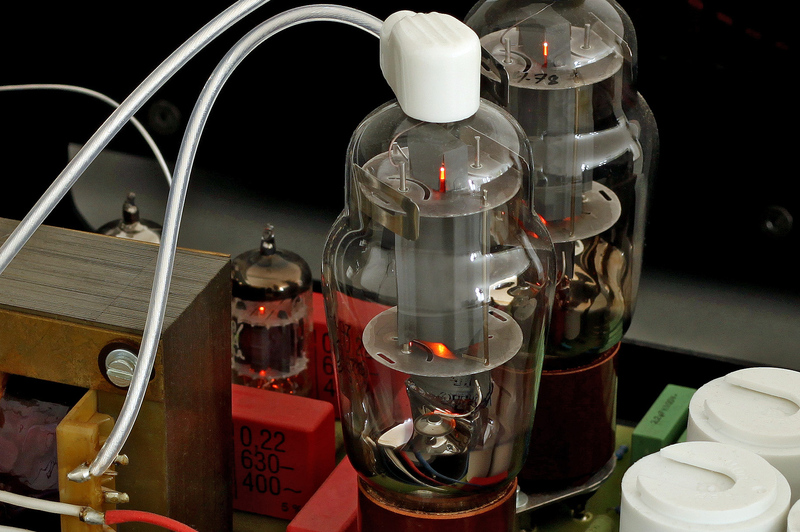 They cannot be compared with well known EL34 oder KT88 designs, but on the other hand they are not as “cool” and overly analytic as many transistor based amplifiers. We think what our LC807 series offers is a extremely fine and subtle reproduction of music with suberb timing and control. LC807/ 25 – 25W pure class A technology with two output tubes. 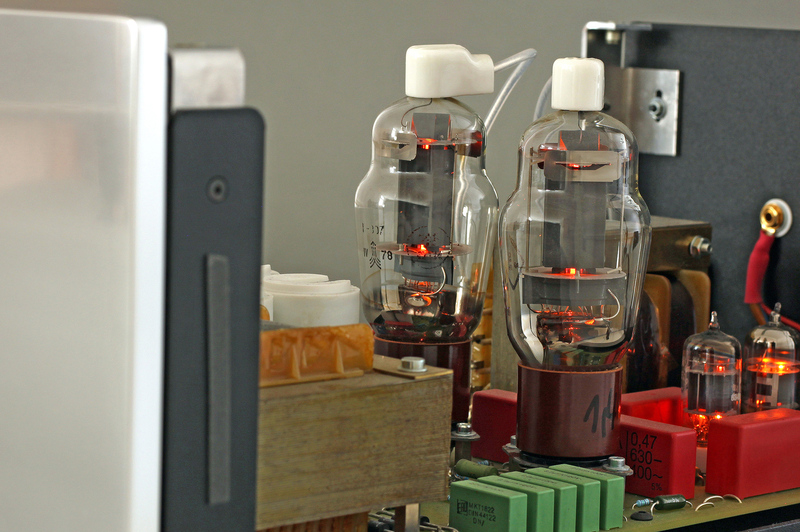 LC807/60 – 60W in class AB technology with two output tubes. 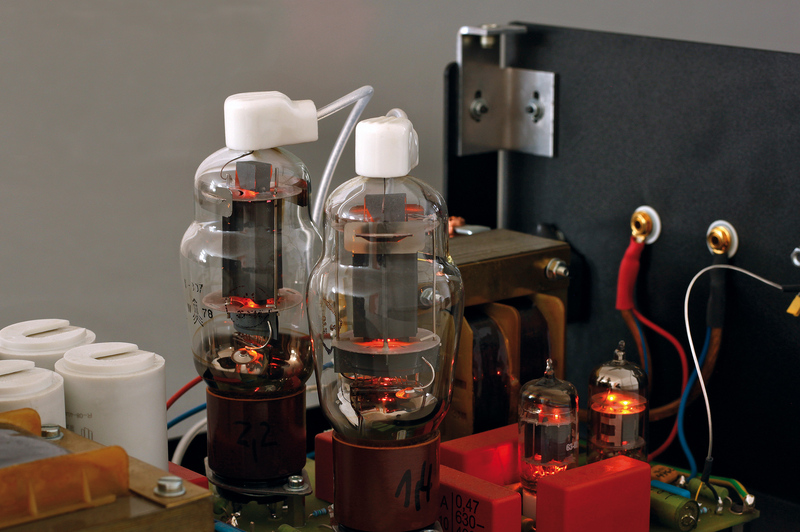 LC807/75 – 75W in class A technology with four output tubes. LC807/200 – 200W in class AB2 for all, who can not have enough power.